Do you consider yourself a seasoned spring cleaner? Can you say confidently that you clean every part of your home during the task? Just how sure are you? When it comes to spring cleaning there are generally two types of people. The very small number of people who not only enjoy the task but seem to gain some type of thrill from it! As if they were at an amusement park and every cleaning task was a rollercoaster. Add These Items to Your Spring Cleaning List! Then, of course, there is the rest of us who perform the task because we know it's good maintenance. However, as good as this mentality is, it often leaves many important spaces untouched. 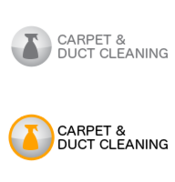 Below from Archer Cleaning & Restoration Services are some of those spaces to add to your spring cleaning list. If you love a good spring clean then there is a good chance that you are preparing to take out any and all items from your refrigerator and freezer before attacking its insides with cleaning solution and vanilla essence (a nice addition for the smell). However, once you have completed the task and everything is back in its neat position, do you move on? If you do, it’s time to give your refrigerator a move and clean underneath. 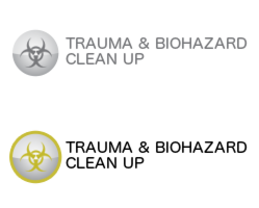 While it can seem strange to think that any dirt gets underneath, you are likely to find a large amount of dirt and food scraps which has been kicked underneath during daily life. Of course, while you are cleaning the floor underneath, pay attention to the wall which the machine was positioned against as well as the coils of the refrigerator itself. Given the challenge of moving your refrigerator easily, be thorough, given that you aren’t likely to return to space for another year. It can be strange to think that you need to wash your washing machine, but the reality of the situation is that if you don’t then it can become smelly and lead to stained clothes. In addition to putting a cleaning solution through an empty wash cycle, get some paper towel and reach into and around the drum of your washing machine to wipe away any grace which has come from the working parts or even built up grime or dirt. After the drum, be sure to clean all around the opening of your machine as well as the li and any dials or controls. If possible, also move your washing machine so that you can clean the space underneath which is likely full of dust. 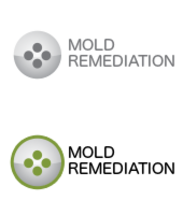 If you discover any property damage of mold growth during your cleaning, be sure to speak with a professional to have the area cleaned correctly, so as not to risk spreading the problem. Call Archer Cleaning & Restoration Services at 888 436 3499 to find out how their property restoration services and mold remediation can improve the quality of your home. If you enjoy keeping a clean home then there is a good chance that you use your vacuum cleaner attachment or even reach up to the ceiling yourself to wipe away any visible dust from your bathroom exhaust fan. However, how often do you remove the grill and actually clean it and the vent? If the answer is never, then your annual spring clean is the perfect opportunity. Safely reach up and remove the grill from your bathroom fan. Be sure to follow the cleaning instructions from the manufacturer to help bring it back to life. As it dries, use a damp cloth to wipe away any buildup from the opening of the vent and around its fixtures. This will not only help to keep your bathroom clean but also work to improve the functionality of your exhaust fan. Before you think that this is already on your weekly cleaning list and aren’t somebody who would forget to complete it, how often do you clean underneath your countertops? If the answer is never because you didn’t think they could get dirty, then you are in for a surprise. Steam and humidity coming into contact with the often exposed underside of your countertops is an easy way for mold to grow, introducing health problems into your kitchen. 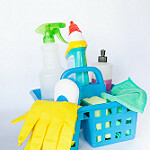 In addition to moisture, general grime and dust can build up, also working to lower the quality of air in your kitchen. For this reason, be sure to give the underside of any countertops in your kitchen, and around your home, to ensure they are clean and free from grime and build up. There are some home repair jobs which you can do yourself. However, when it comes to anything structural or mold, it's best to call in a professional. Speak with Archer Cleaning & Restoration Services today at 888 436 3499 to book an appointment convenient for you.